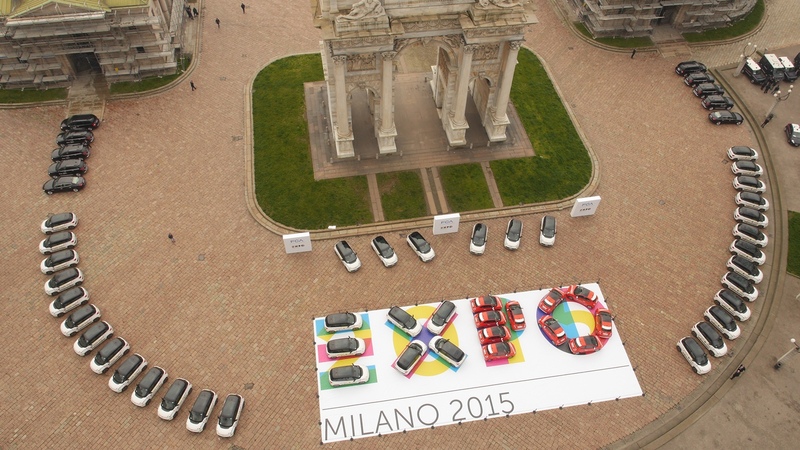 This week the cars of Fiat Chrysler Automobiles, Global Partner of Expo Milano 2015, which constitute the car fleet the organization will use during the event, have been delivered to Expo Milano 2015. Out of a fleet of 105 vehicles, no. 50 methane-fueled 500L models are equipped with the Magneti Marelli telematic T-BOX. The cars shall be used for the Car Sharing service exclusively available to the numerous international delegations that will be present in Milan in the next semester. A presence under the sign of sustainable mobility thanks to the low emissions and to the alternative fuel supplies. The Magneti Marelli T-BOX is the beating heart of the entire Car Sharing service. The telematic box allows communicating with the service centre to locate the vehicle, besides enabling a set of functions such as the opening and closing of the doors, the ignition only by authorized people authenticated via a smartphone App, and the reading of the on-board system data, thus guaranteeing real-time information about the status of the car. The T-BOX is part of Magneti Marelli’s telematics offer, namely technologies and systems for the new cars and the existing fleet, which pave the way for new paradigms of mobility, consistent with the criteria of safety and security, sustainability and legislative trends (eCall).